Note: this is the second installment in my own version of #52ancestors where geneabloggers have been asked to write about a different ancestor every week for a year. To understand the concept, read my blog entry from January 19, 2014. To read my January entry on my mother, follow this link. They’ve written books about my paternal great-grandmother’s Dryden family and have traced the tree down to famous hockey players and even Commander Hadfield who recently completed a stint at the space station. However not much is really known about my paternal grandfather and his family. Where did they come from? Did any of them do anything as outstanding as play in the NHL or go to space? How long have they been in Canada and where did they come from before they got here? So many questions and I needed to go back to Genealogy 101 – Start with what you know. When she was with us, I never really had a chance to ask her anything about what life was like when she was a little girl or even what my grandfather was like (he died well before I was born in 1960.) It has left me with many questions about her family and where she came from. 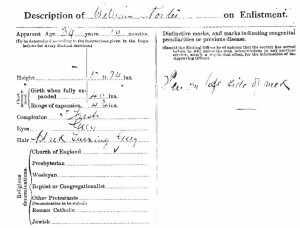 This description was on the back of William Porter’s military attestation paperwork from September 1915 and include mention of black hair turning grey, a fresh complexion and a scar on the left side of his neck. I knew that my grandmother grew up around Galt and Hespeler (now Cambridge, Ontario) and through some of my research, I discovered that my grandmother’s father was William Porter and subsequently that he signed up to fight in The Great War (World War One) shortly before my grandmother and her twin brother Walter were born. The papers described what he looked like and where he lived in Galt, Ontario. I was happy to find the information but I was intrigued for another reason. 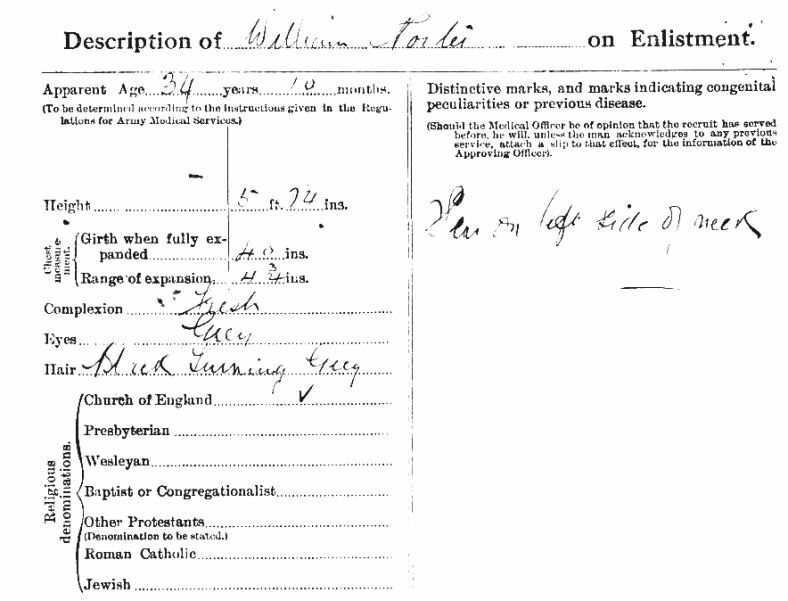 He signed up in September 1915 and my grandmother was born in July 1916. Something is fishy about the math, especially when you think that twins are rarely carried to full term and September to July is 10 months. The whole concept of a birth after he was in the military made me put this on the back burner. I really haven’t wanted to stir up any scandal or to offend anyone in the family if I can help it. Did I really want to open a can of worms questioning paternity? Enter twitter and the lovely Jenn Annis who has been a huge help to me with regards to military history and records. When I started following Jenn on twitter I was just happy to find someone else local to talk about local stuff. I never expected her to have some possible answers to my family tree questions and to help push me to go further than just the Ancestry website as let’s face it, one website isn’t going to have everything. One of the first questions Jenn asked me was if I had ordered and received the military records for my great grandfather William Porter. I had no idea. I really honestly didn’t think I’d be able to access anyone’s records unless I could prove that I was related. In reality, I knew this was the right person, but I wasn’t 100% sure I had all the documents to prove it. However when I started to look into it, I realized all I needed was his military number from his attestation papers, his name and birth date and I was good to go. Even knowing this and having Jenn’s advice in the back of my mind, it took me a few months to finally bite the bullet and do it. What if I find out something bad? What if he wasn’t the war hero that I so desperately wish that he was? What if he got injured? What if there really wasn’t a possiblity that he is my grandmother’s father? So many what ifs and so many questions. When I asked Jenn about the timeline, she advised me that it is entirely possible he wouldn’t have been deployed right away. Most likely he would have had training at a nearby base and he may even have had some leaves away from training until he got deployed overseas. That was a relief and made sense. 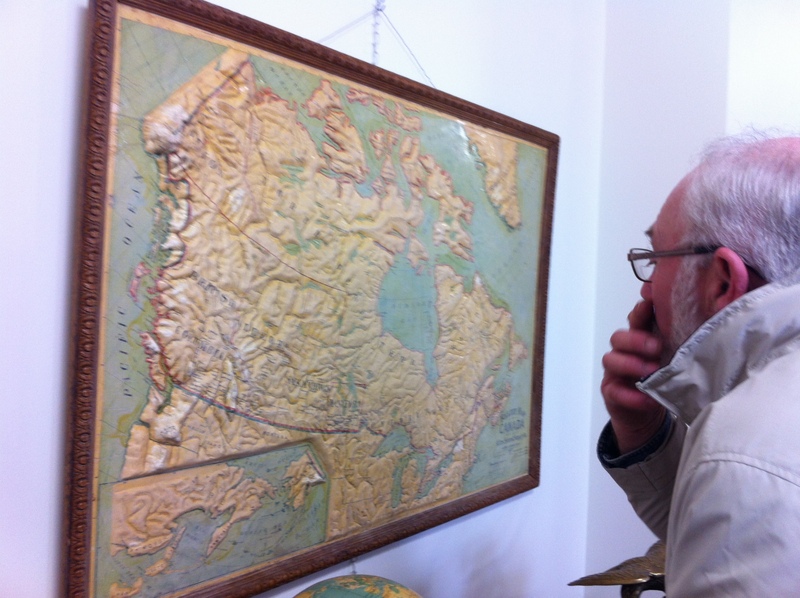 So I went to Library and Archives Canada and I sent in the request. I had no idea how long the document was going to be or how much it was going to cost but I was going to find out. A month later and I finally received the email – it’s time for payment. 69 pages of content was created. I can pay for a CD of it or they will email me the link to the information within 2 business days. Here we are. I’ve paid and now it’s only a short period of time until I will have the answers I’ve been looking for. I really wouldn’t have done this without Jenn. I hope she knows how much I’ve appreciated her help and I look forward to bothering her with many more questions in the weeks to come as I pour over the documents. So Jenn, consider this your fair warning!